This is a collection of pre-built slides. All slides are actual slides created by strategy consultants for executive presentations. However, identifying and confidential information has been removed. 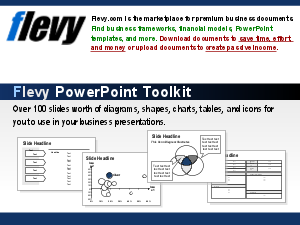 The purpose of these slides is to illustrate various slide designs and diagramming techniques; and can be used as templates for your own business presentations.